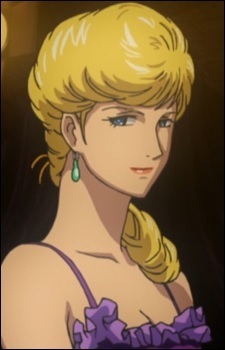 The elegant and attractive Crowley Hamon serves as an aide to Ramba Ral. Crowley is also Ramba Ral's lover and he affectionately refers to her as "Lady Hamon". Crowley Hamon mainly stays on the bridge of the Gallop and helps to coordinate Ramba Ral's attacks while he was out fighting.